Towering Over Paris | So Many Exciting and Beautiful Places! We stayed at the Hilton Opera in Paris, located just a few blocks from the Paris Opera House. Our room was very comfortable, and the location was convenient to shopping, banking, eating and entertainment. Unfortunately, we didn’t have time to take advantage of much of that. 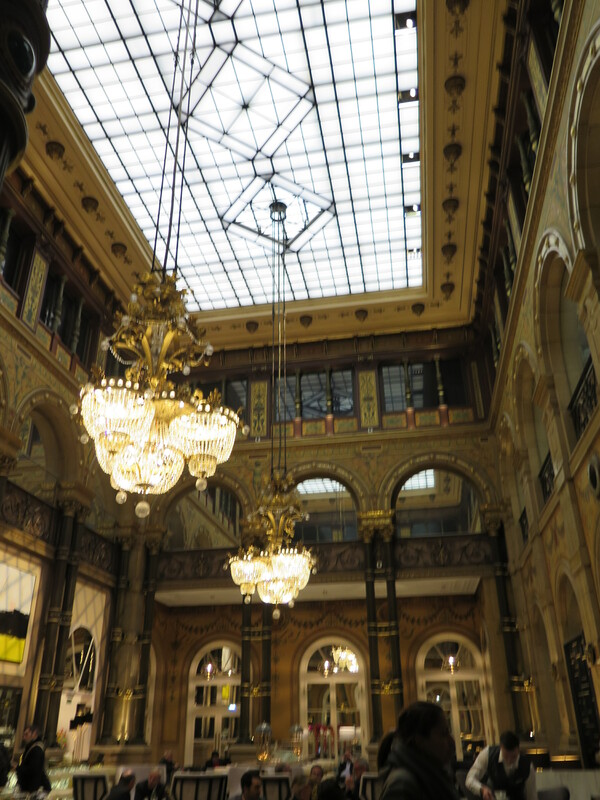 We heard that the views, both inside and out, were beautiful at the Galleries Lafayette, so we walked there after breakfast. The Galleries Lafayette here is the flagship store for a department store with locations around the world. The original owner started in 1816 as a small haberdasher, and continued to add space. This store is 10 stories of upscale shopping that appears to cover several blocks. A glass and steel dome was added in 1912, and the rooftop is open to the public. The atrium looks like the interior of an opera or theater house. It was then time to meet up with our cruise director and take our first tour to the Eiffel Tower. The tower stands 986 feet, and has three floors. We took the elevator to the second floor, about 400 feet up, where we were able to see more magnificent views. From there, we walked down to the first floor, at about 200 feet, where a glass floor was added last year. We boarded our boat, Avalon Creativity, and left the city early so were not able to see the sparkling lights that were added to celebrate the Millennium. These lights are on for five minutes every hour, but are not very visible during the day. We should be able to enjoy them when we return at the end of our cruise. We left early because there have been problems with one of the six locks we will be going through. As a result, traffic has been building up, and the captain wanted to have more time to wait our turn. The ships were built to be as wide as possible and still be able to negotiate all of the locks. When we went through one this evening, we could easily have touched the wall. 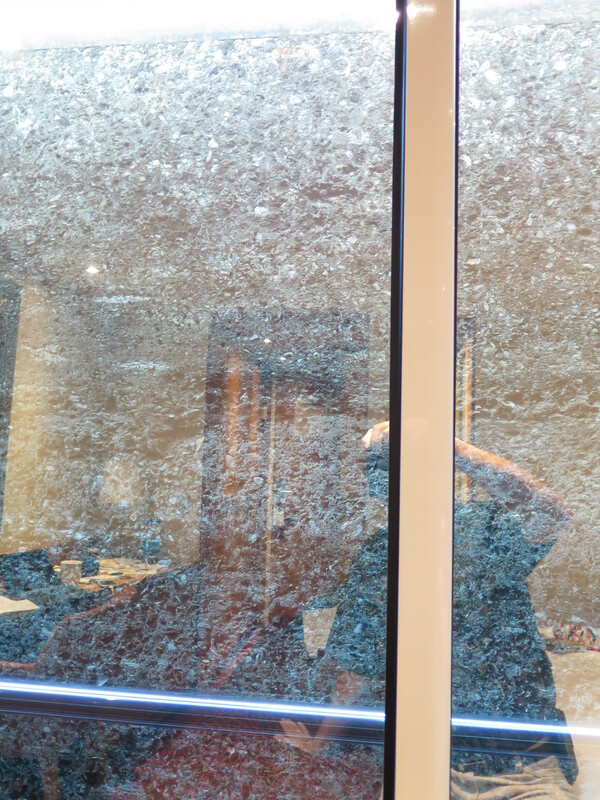 Mark’s image in our door as he tries to get photo of lock wall. This entry was posted in Europe, Paris and tagged Avalon Waterways, Eiffel Tower, Galleries Lafayette, Hilton Opera Paris, Strawberry Fields. Bookmark the permalink.